Al "Coffee" McDaniel may be a new voice to the Blues, but he is not new to the world of music. He has been performing professionally since he was five years old and even then he knew what course his life would take, and the direction he would pursue. THE BLUES IN MY SHOES is a landmark recording for the Blues -- a modern day urban Blues opera. This fourteen track CD, possibly autobiographical, in music and song, tells the story of a man who finds himself married to a woman who is controlling, abusive and unfaithful. He asserts his autonomy from this relationship meets and falls for another woman who ultimately helps his career, as she helps him attain fame and notoriety. Joining Al Coffee for the recording of THE BLUES IN MY SHOES, is producer/songwriter/drummer, Narada Michael Walden, and blues great, guitarist/keyboardist/songwriter, Lucky Peterson. THE BLUES IN MY SHOES includes songs ranging from traditional Blues, to Chicago and Texas blues, mixed in with a nice touch of R&B. While he paints each track with a different tint and hue from the Blues pallet, he defines each track with lyrics that paint a picture as though he were a fine artist. Each track, solid enough to stand on its own, comprises another act and scene that unfolds as it is listened to and considered as a whole. Click the LISTEN button below to hear "What a Woman Wants" from THE BLUES IN MY SHOES. Visionation, Ltd., publisher of Blues Revue, BluesWax and FolkWax has annouced the merger of Dirty Linen, Ltd., publisher of Dirty Linen, into its family of companies effective September 1, 2007. According to the press release, the joining of these two companies will expand Visionation�s market presence into additional Roots music genres and offer increased marketing potential for the Dirty Linen brand. This results in increased opportunities for product development and cross-marketing, wider distribution, and expanded advertising opportunities for all four publications. Planned growth includes entry into radio and cable markets and additional sponsorships for music festivals in Folk and Roots genres. Visionation President Chip Eagle commented on the merger, �Dirty Linen is a great magazine; I have read it for years. 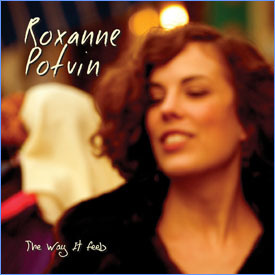 It is a perfect fit with our online publication FolkWax." Dirty Linen�s business offices are moving to Salem, West Virginia. Editorial and production offices remain in Baltimore, Maryland, and former owners Paul and Susan Hartman will continue as editors. 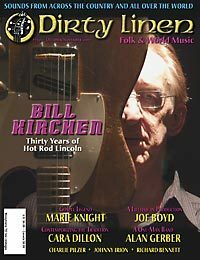 Dirty Linen is considered the foremost U.S.-based magazine of Folk and World Music. Visionation publishes two widely read Blues publicatons, Blues Revue and BluesWax, as well as FolkWax. The company also operates CD Mojo (an online music store), Vizztone (a record company, and Sage Brush Productions (a music video documentary company). 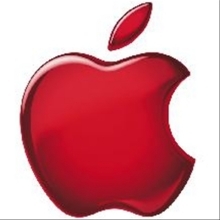 Apple and Starbucks announced an exclusive partnership that lets customers wirelessly browse, search for, preview, buy and download music from the iTunes Wi-Fi Music Store at Starbucks onto their iPod touch, iPhone or PC or Mac running iTunes while at a participating location. When a customer enters a participating location, their device will automatically recognize the iTunes Wi-Fi Music Store using a high-speed Wi-Fi wireless network with no connection fee or hotspot login. Customers will be able to browse, search and freely preview millions of songs, including a new "Now Playing" service which displays the name of the song playing in the Starbucks store at that moment, then easily buy and download songs or albums directly to their device. Prices and selection on the iTunes Wi-Fi Music Store are the same as on the regular iTunes Store. 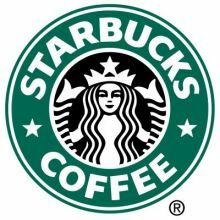 The service will make its debut at more than 600 Starbucks company-operated locations in New York and Seattle on October 2. San Francisco Mayor, Gavin Newsom� proclaimed Wednesday September 5th �Ron Thompson Day� to honor the great Bay Area rhythm and blues guitarist�s local musical legacy. The day was capped off by a blow-out concert featuring Ron Thompson and His Resistors at� Biscuits and Blues. Newsom was on hand to present Thompson with the proclamation; other Bay Area artists invited to the festivities included Chris Isaak, Kenney Dale Johnson (drummer for Chris Isaak) and Pete Sears (Jefferson Starship and Hot Tuna). Thompson began playing music professionally while still in high school. When he was 17, he began participating in the Tuesday night jam sessions at the Fillmore West, at that time known as the �West Coast Mecca for rock music.� He played the first San Francisco Blues Festival in 1972, and continued to play many subsequent SF Blues festivals. His most recent appearance at SF Blues was two years ago, when he performed with the �Legends of Chicago Blues� (James Cotton, Hubert Sumlin, Willie �Big Eyes� Smith and more). Stony Plain records has announced the signing of Rory Block to a worldwide record deal. One of the most powerful guitarists who have modeled their work on Delta blues, she has made more than 25 albums over a career that began in the �60s. Rory�s first CD for Stony Plain is expected by next spring; she is currently working on material in between a continual round of live appearances. 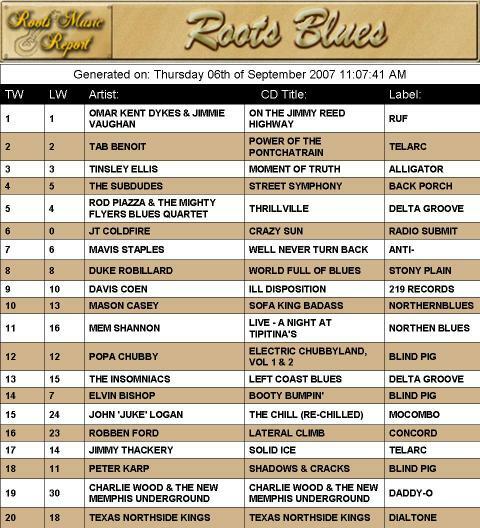 Think you, or your band is a "Blues Artist on the Rise"? Are you deserving of national exposure to blues radio programmers, blues festival promoters, blues record label executives, and thousands of blues fans? Then you must enter the 2nd annual "Blues Artist on the Rise" competition. 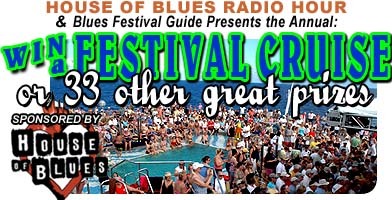 Between now and the end of January 2008, blues artists/bands will compete for an electronic showcase on the Blues Festival E-guide. This competition is held in conjunction with Sonicbids. All competitors must have a Sonicbids EPK (Electronic Press Kit). This year, the �Blues Artists on the Rise� competition, will be split into 2 categories: Solo/Duo and Full Band. One artist from each category will be chosen at a minimum of once every other week for the 5-month duration of the competition to be showcased via the E-guide, which has a loyal 15,000+ readers per week. What that means is, at a minimum, 13 artists will be selected for an electronic showcase through Sonicbids. Judging criteria will be based subjectively on the following: originality; talent; professionalism; experience; blues content; sound quality and that "certain special something" that sets you apart from the rest. After submissions have ended, one artist from each category will be selected as their categories winner, and will again be showcased in the E-guide as "The Winner!". These category winners will also receive a free banner ad on the Blues Festival Guide website for 6 months as well as a free banner ad on the E-guide for 6 months (February -August 2008). This is a $1,000 value to each artist. The entry fee is $5, but it could just be the best $5 you ever invested in your career! Ryan Shaw just might be the next big thing in soul music. this 26 year old Atlanta native has got the heart, he's got the voice, and he's got the music in him. Join Elwood Blues for an hour of good times and great music as he introduces the world to phenomenal Ryan Shaw this week on the House of Blues Radio Hour.